KAMPALA – Veteran public service technocrat Ambassador Julius Onen, the Permanent Secretary at the Ministry of Trade, Industry and Cooperatives has passed away. According to information released by the ministry officials, Mr. Onen, passed away on Sunday evening. “With deep sorrow the Ministry of Trade, Industry and Cooperatives announces the demise of the Permanent Secretary Amb. Julius B. Onen. May his soul rest in eternal peace,” the ministry tweeted on Sunday night. According to family sources, Ambassador Onen had just returned from India where he had been taken for treatment for unspecified illness. 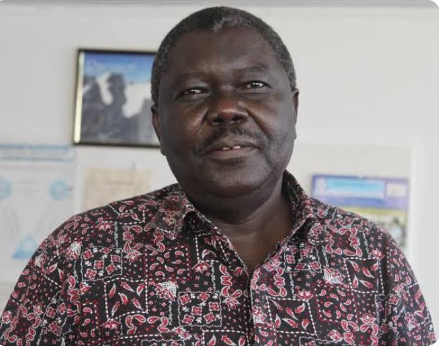 The late Onen was a diplomat at the East African Community Secretariat in Arusha, Tanzania and also a board member of the Uganda Revenue Authority. He’s was the father to the Reknown Radio personality James Onen alias Fat Boy a presenter of the Morning Breakfast Show at Sanyu Fm. Details of his funeral programme are yet to be released but the public has on Monday started outpouring with eulogies. “The untimely death of Ambassador Julius Onen has robbed Uganda of a public servant of sterling character, a diplomat’s diplomat, a kind hearted and generous man who served with unmatched professionalism. A man devoid of bitterness, he shunned pettiness in all its forms. RIP,” said opposition Democratic Party President General Mr Nobert Mao. “Saddened to hear of the passing on of Ambassador Julius Onen. @jumuiya has lost a tireless advocate. Condolences to his family, friends and colleagues. May He Rest in Peace,” said Dr. Richard Sezibera, Rwanda’s Foreign Affairs Minister and former Secretary General of the East African Community.